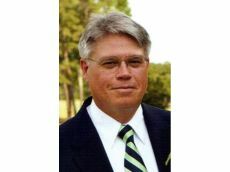 Ken Fortenberry, editor and publisher of news@norman, a community news site in Denver, N.C., has announced that he will challenge Congressman Patrick McHenry in the 2012 Republican primary. Mr. Fortenberry is taking a populist approach, unlike McHenry's previous Republican opponents, who generally (and dependably) try to portray the incumbent as not conservative enough. He decided to run for the House seat after a conversation with his son, who graduated from Appalachian State University in Boone about a year and a half ago. Many of the junior Fortenberry’s fellow grads were struggling to find work. Fortenberry accuses McHenry of supporting banks and Wall Street powerbrokers at the expense of average Americans. The challenger said he would represent the working-class men and women of the district.